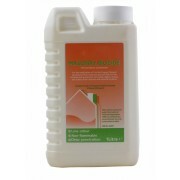 This concentrated fungicide has been specially designed to eradicate and control the dry rot fungus on masonry and brickwork. 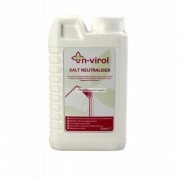 It also removes and prevents moulds, algae, mosses and lichens on both internal and external surfaces. 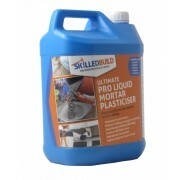 SkilledBuild Masonry Biocide is a premium product and it has a special micro emulsion system which allows it to work very quickly and to have better overall absorption, for a deeper and longer lasting treatment. (1 litre). 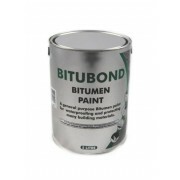 This premium grade, highly versatile latex bonding agent improves the properties of render, screed and mortar mixes. It can be used with any cement based mixture to provide flexural, adhesive and tensile strength as well as abrasion, chemical and long term water resistance. 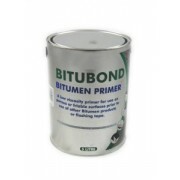 In addition this product's outstanding waterproofing and bonding properties make it an increasingly popular choice over PVA for the professional user. (5 litres). This advanced surface salt treatment helps to prevent or actively reduces efflorescence and is ideal for use on mineral building materials, from new plaster to old stone and masonry. (Available in 1 litre and 5 litres). 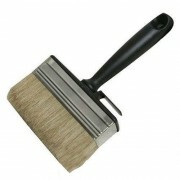 Our high quality BLOCK BRUSH has excellent paint holding capacity and is suitable for a variety of interior and exterior surfaces. It is multi-purpose and is ideal for applying tanking slurry. SkilledBuild members earn loyalty points with every purchase made which can be redeemed for some great rewards including iPods, Kindles and TVs. Sign in to be able to add products to your lists. You can create shopping lists for jobs, projects or standard tasks. Want to know which resin to use on your job? Use our resin finder to help you find the best product for you. We Have an Exciting New Range of Resin Crack Repair Kits! Become a SkilledBuild member to access lots of benefits! Don't know which resin to buy? Then try our fantastic new Resin Selector Tool! Our site is fully secure and we accept all major credit and debit cards. 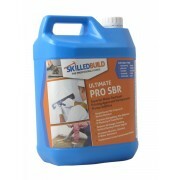 Sign up and be the first to hear about SkilledBuild's latest products, offers and news.